While watching the weather tonight and texting with my sister about all the rain we’re supposed to get here in central Texas, I started thinking about snowstorms in Wisconsin the last few years we lived there. 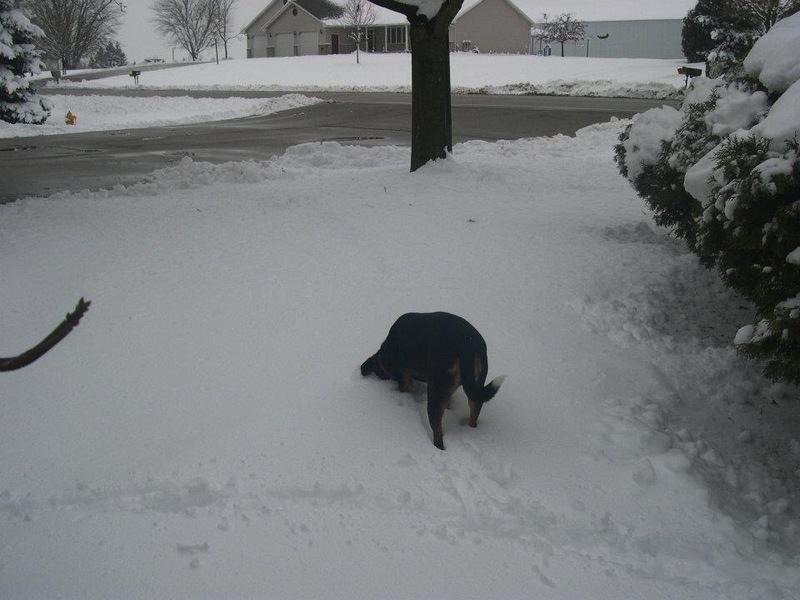 I thumbed through my old Facebook photos because I know I used to be somewhat obsessed with snow photos. The thing is, snow is pretty. 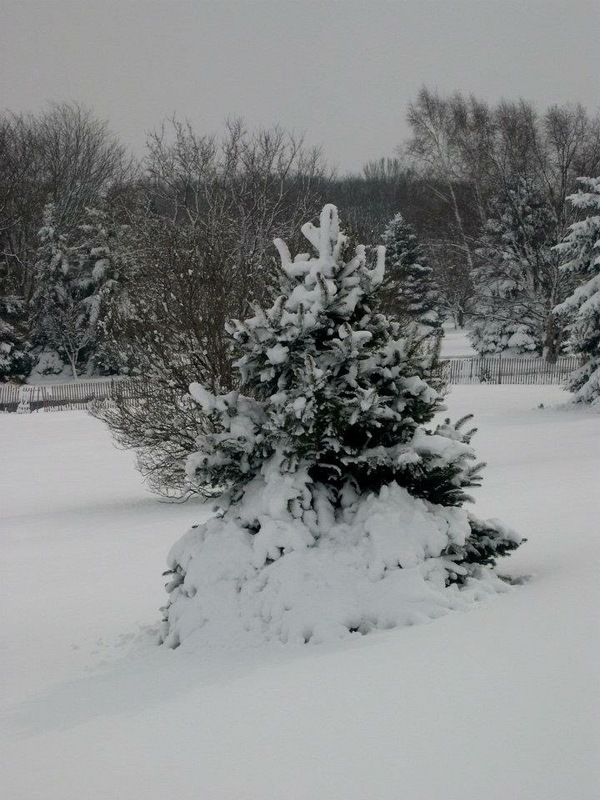 Whether it’s a light snow or a blizzard, it makes the landscape look pristine, peaceful and beautiful. A light snow is nice because it’s easy to shovel and you can make lovely snow angels. A heavy snow is the best because once the shoveling is done, you can make snowmen and forts and go skiing and snowmobiling. But what’s good about 8 to 10 to 12 to possibly 14 inches of rain in 3 or 4 days? Only so much can soak into the ground, so the excess just runs off. Into streets, homes, businesses. Places it shouldn’t be. And while people are forced to deal with an overabundance of rain, once it’s done, can you really have fun in the water like you can with snow? Don’t get me wrong, I don’t miss snow enough to move back to Wisconsin. But I am glad I have these photos to remind me of its beauty. Because I’m thinking that 10 inches of rain won’t look anywhere near as nice. 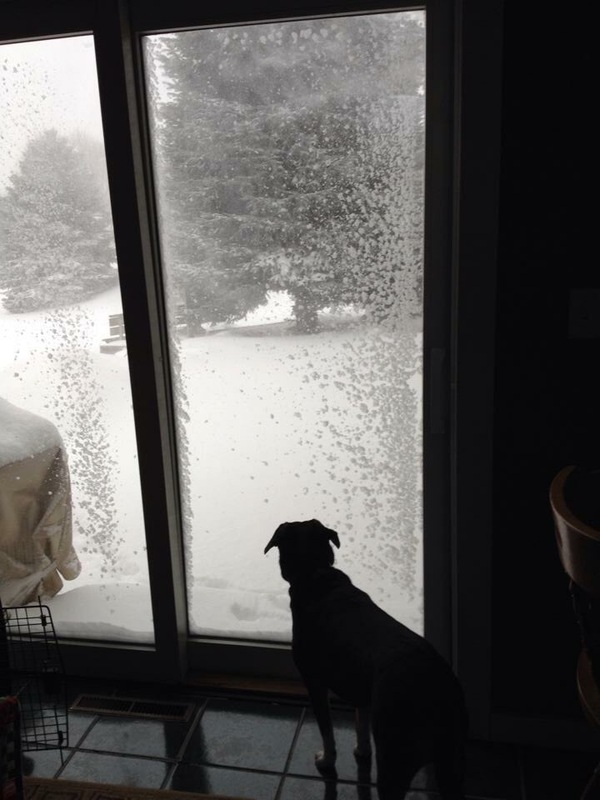 Darn dog Chloe never really wanted to go outside during the middle of a snowstorm. But she loved playing in it afterwards. 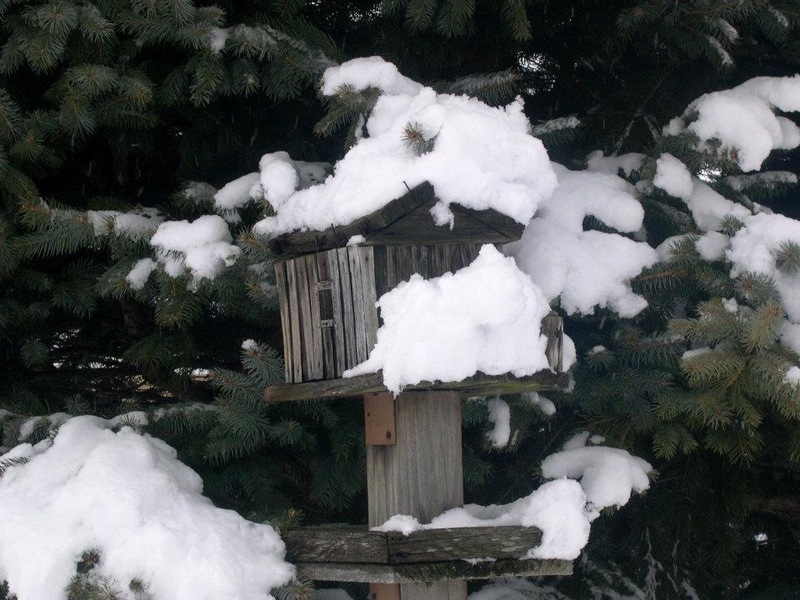 The snow even made this old, dilapidated birdhouse look pretty cool. 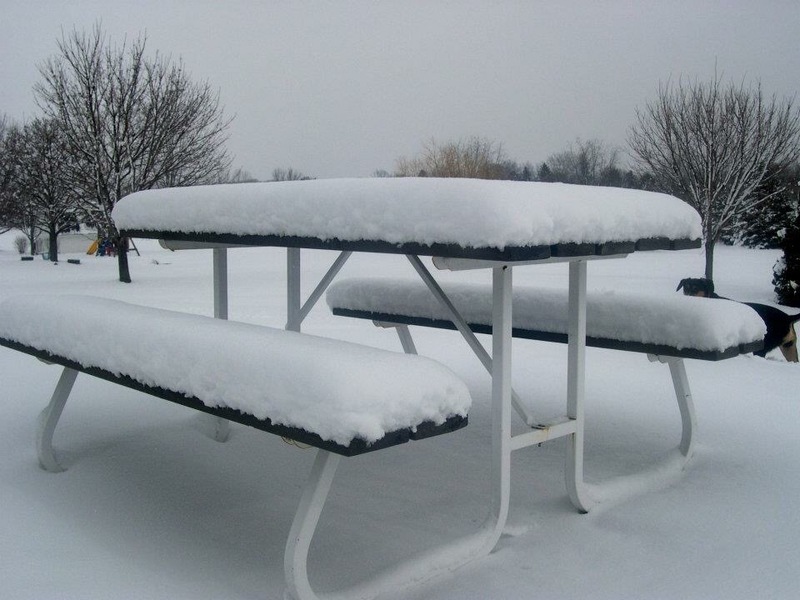 It’s easy to measure the snowfall that piled up on our picnic table. 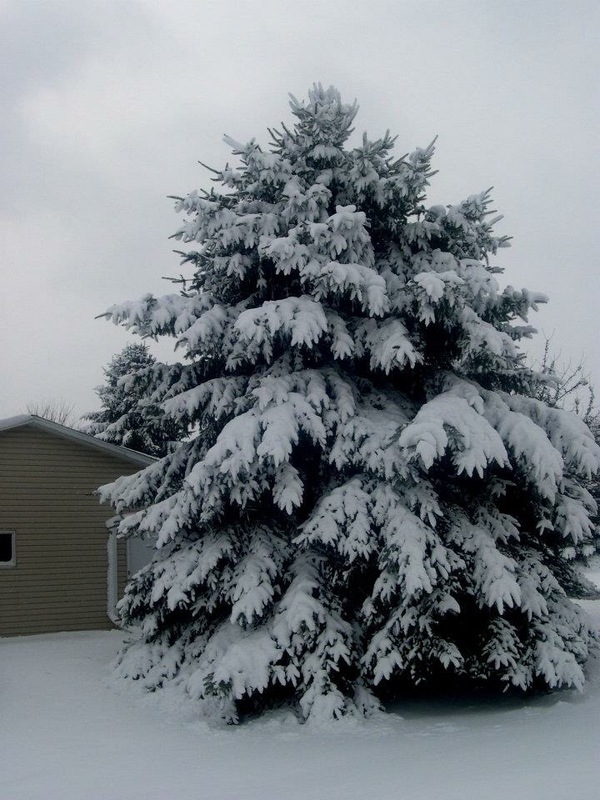 Pine trees sometimes took a beating during snowstorms. 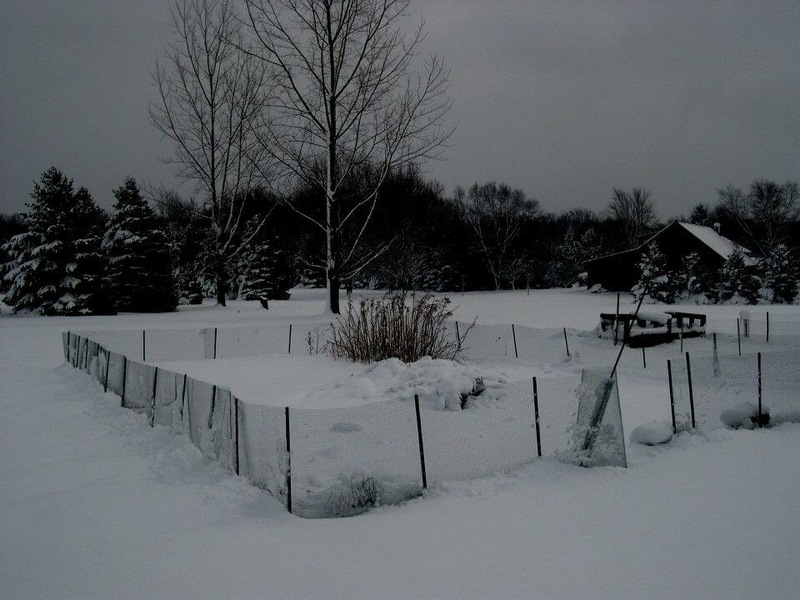 And the snow made a great winter cover for my garden.